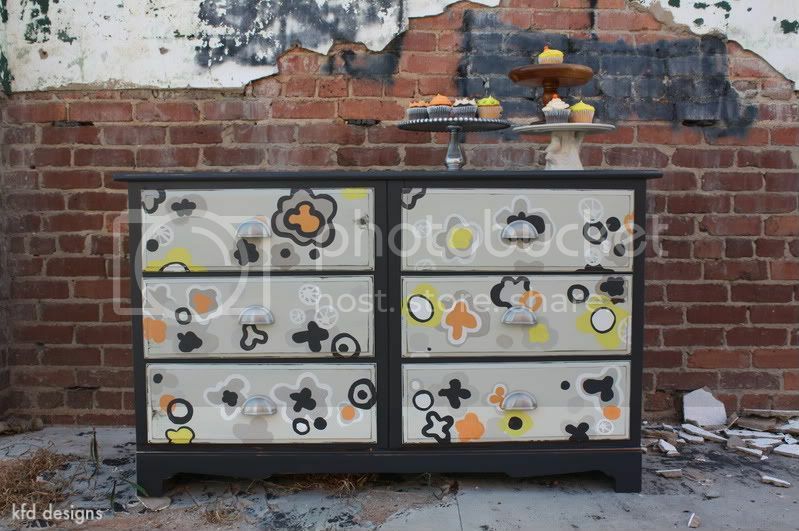 Kristen F. Davis Designs: new dresser for sale! i just completed this dresser project, which i worked on at my sweet baby brother's house (he has an awesome loft with TONS of old, cool brick outside!). david and his roommate let me store and work on this dresser at his house, and we had such a fun photoshoot when it was all said and done! to top off the cute-factor, my brother had just recently found two homeless kittens on the side of the road, so one of them made the photoshoot too! (don't worry - we did NOT let the kitten actually eat any of this cupcake) my sweet friend elizabeth is an excellent baker, and she made some sweet treats to go in the shot as well. don't they look precious? 60" long, 21" deep, and 31" tall. if you need the exact measurements, please email me at kristen.fountain@gmail.com. 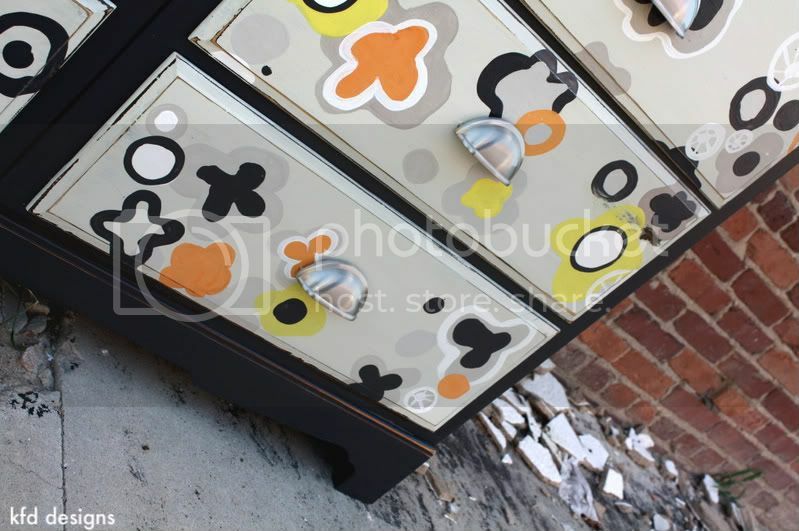 i made up and handpainted this fun, floral pattern on the drawers. email me at kristen.fountain@gmail.com, if you are interested in purchasing and for pricing info! i'm located in atlanta, but shipping is available. Sweet dresser and that's the raddest photo shoot ever! 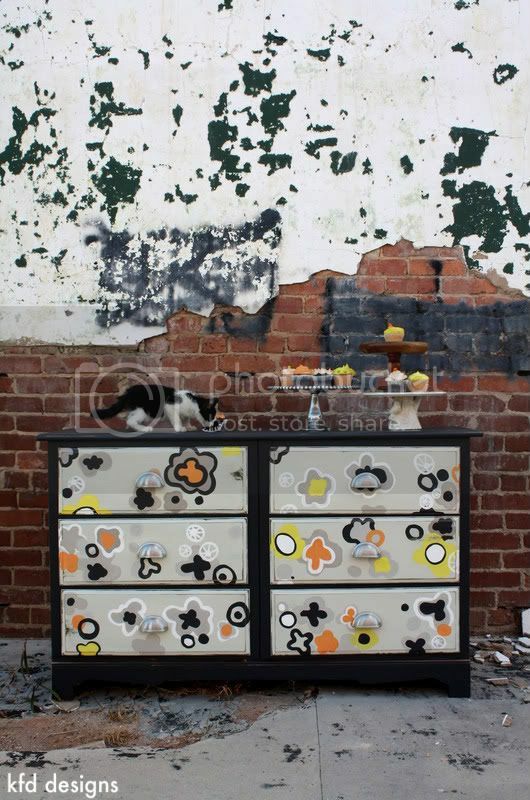 This dresser is SO much fun! And you're really making me want cupcakes. And a kitten. Like now. 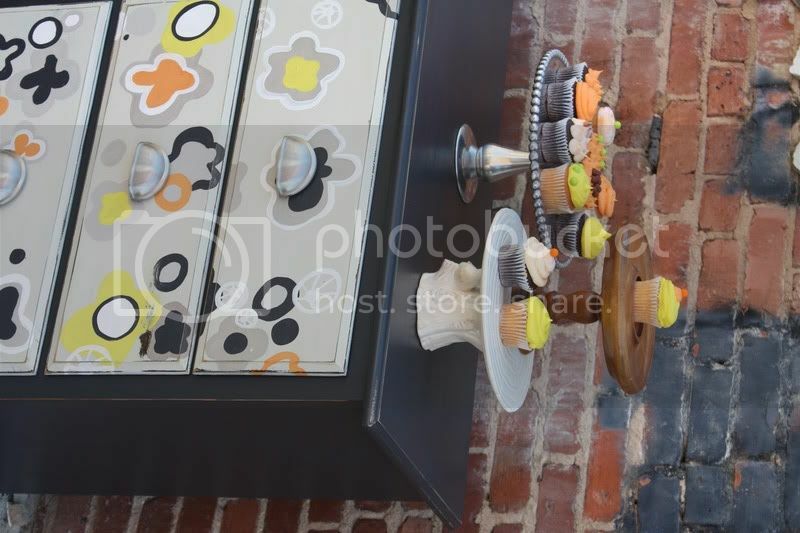 Great dresser and awesome cupcakes! Love the kitty too! Looks great, i love the drawer pulls, where did you get them? ps. is your brother keeping the kittens? as for the kittens, he's trying to find them homes, but keeping them until he does. do you live around here? you can have one!! Thanks again for sharing Kristen, love it all, as always! 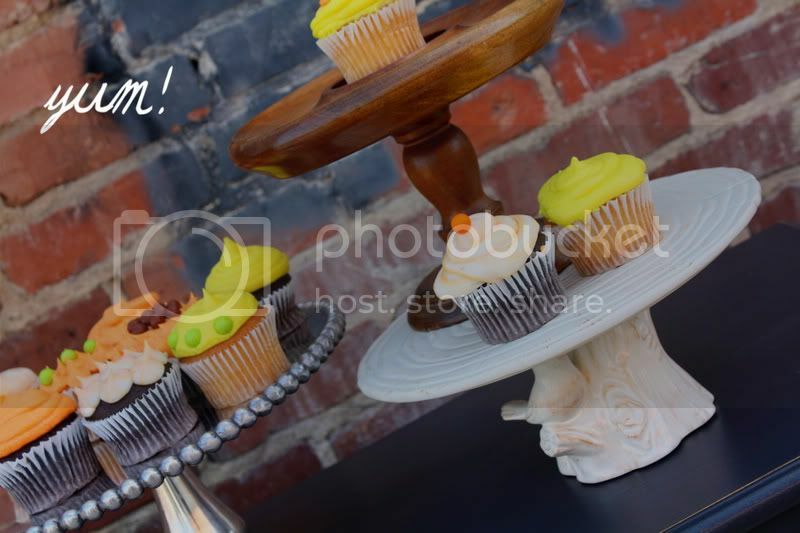 What a good friend to make cupcakes that match the color scheme of the dresser! aw thank you anacelie! what a pretty name you have, too!! !